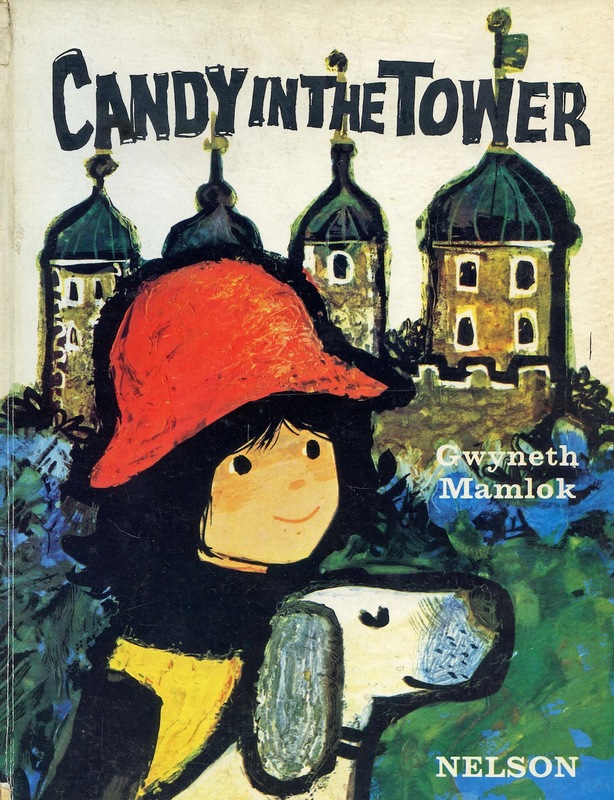 Illustrated children’s fiction from the 1960s is so popular now that I was surprised to find that Gwyneth Mamlok’s Candy series is still languishing in obscurity. I have Googled in vain for biographical information about the author and illustrator of the six Candy titles that were published in the mid-60s by Thomas Nelson and Sons. Sadly, she doesn’t merit even the most basic “stub” entry on Wikipedia. I have five of the six Candy books that appeared between 1965-66, beginning with Candy and Peppermint. The heroine, Candy, looks to be around six or seven, which is a couple of years older than I was when I forced my parents to read these stories to me over and over again. I think some of the pages started to drop out long before my front teeth did. 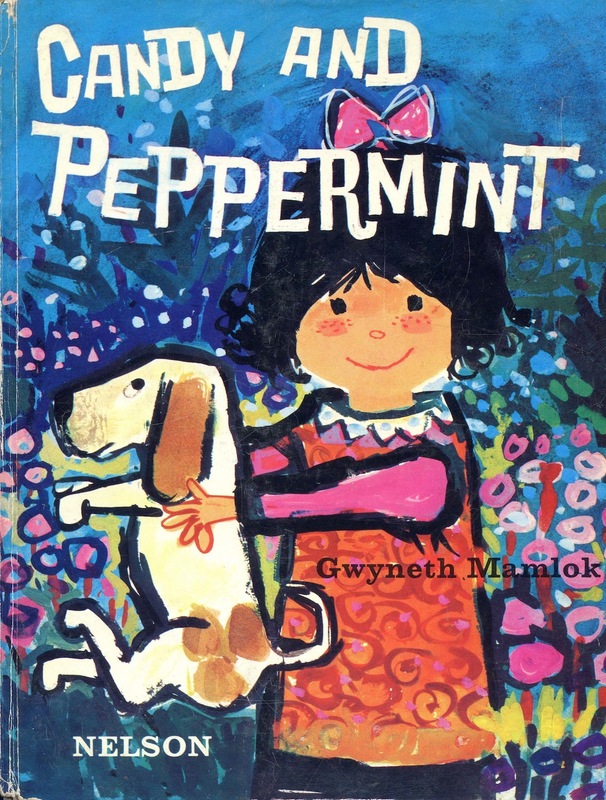 In the first book, Candy and Peppermint, Candy acquires a Basset Hound called Peppermint, after he scarpers from a pet shop. Subsequent adventures also involve her flame-haired (boy) friend Ginger, who has a nose for trouble, and his kitten Humbug. They and their pets get off to a bad start, but peace is soon restored. These names suggest an ongoing confectionery theme, so it’s disappointing to report that the pony in Candy and the Pony is called Midnight. I can also see that young Candy was a bit of trend-setter, sporting a fine array of hats, ribbons, bows and headgear for every occasion. I particularly like that orange cloche hat she sports in Candy in the Tower. That book was one of my favourites, partly because of the jolly Beefeaters featured on the book’s endpapers, but mainly because it was set in a recognisable London landmark that I visited a few years later. The same characters also appeared in Candy and the Golden Eagle. 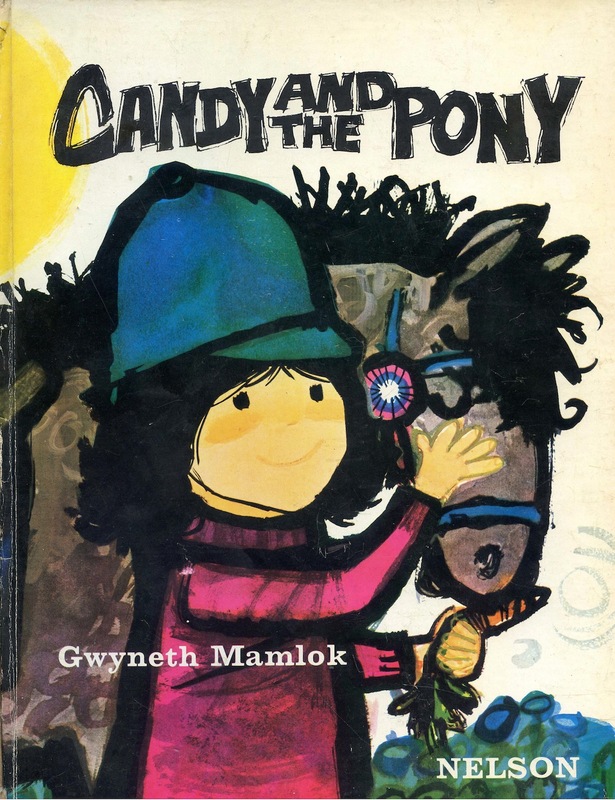 There’s a sixth book, Candy and the Rocking Horse, which I never acquired. 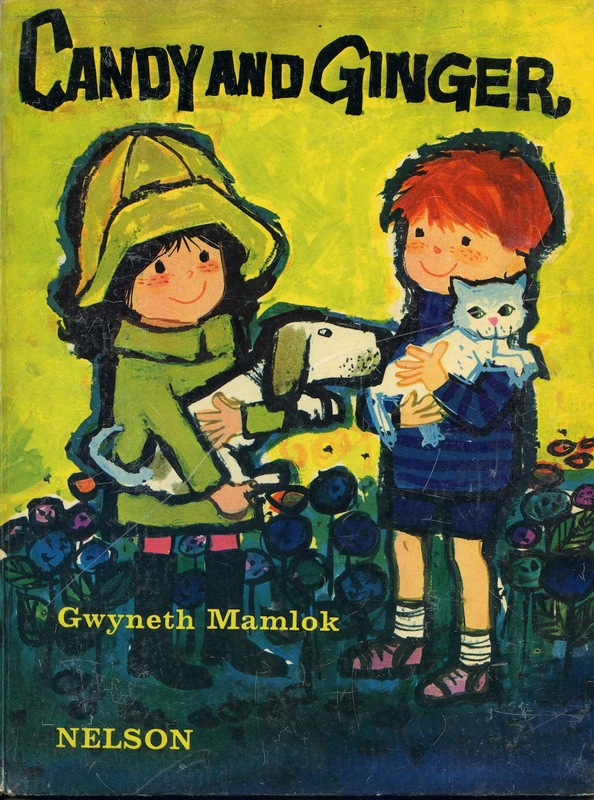 It’s stating the obvious to describe a children’s book as colourful, but Mamlok’s signature does seem to be a palette of blues, pinks and purples that work particularly well in her outdoor scenes. She conjures up skies so full of swirls and patterns that Van Gogh would have been impressed. The overall look of these stories is probably aimed more at girls than boys, and that lack of unisex appeal may be one reason why Candy hasn’t joined Topsy and Tim or Miffy in the pantheon of favourite children’s characters from that era. Mamlok obviously branched out into greetings cards, as some of that work is still available online. Candy, or someone looking very like her, continued to blaze a fashion trail into the 1970s in the guise of Brolly Dolly. Perhaps I’ll buy that 40-year-old card and send it to myself on my next birthday. Thumbs up for Candy and Peppermint! Seriously though these books are now collectors items…I think they are priceless.